K-Dramas: Watch This! Not That! After failing several job interviews, Ho Won coincidentally hears that she has six months to live. And when everything seemed hopeless, she finally lands on a job. She decides to make the most out of her life and undergoes a transformation into a sassy lady. This show provides vicarious enjoyment to young people who face harsh reality with diminished opportunities. 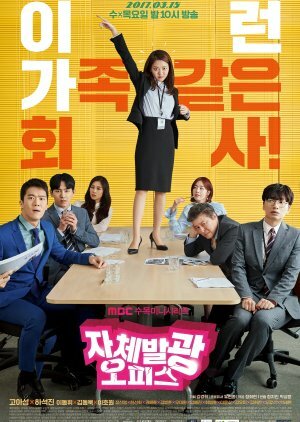 In the show’s workplace, there is a culture clash between the young, brash workers who express their opinions and older workers who are anxious about the next wave of layoffs. At the same time, the show presents open communication and understanding as a means of overcoming these differences. Radiant Office is very subtle, in all the best ways possible. Because of its subtlety, it takes time and attention to appreciate this drama – but all the time you spend will be the most rewarding time of your first half of this year, I swear. To me, Radiant Office belongs to the slice-of-life and romance genre. After all, it was made to be an office romance kind of show. Comedy is almost non-existent here, although that does not mean that this show is dark. It is fun, but if you're here expecting slapstick humor kind of fun, you're in the wrong place. On the outer level, Radiant Office is a bunch of Korean drama clichés packed together. There's a boss-employee relationship, office settings, fatal disease, and some chaebol family problems. However, on the inside, Radiant Office has a very warm and cozy tone – the complete opposite of those dramas that have the same cliché background. This is built mainly on their warm and cozy characters. I know that the poster and the synopsis can make our lead female character look very extreme, but she's not, as well as the rest of the crew. They're rather very relatable human-beings. They go through problems (that can sometimes be too dramatic, but again, I can totally overlook that for the fact that this is a drama), but the way they tackle these problems and overcome these situations are so human-like. You will definitely learn a thing or two at every twist and turn here. When you feel like you can relate to their problems, you'll surprisingly feel comforted by their words and actions. I also love how there's no true "evil" in this story. Whenever someone does something bad, the show progresses in the way you can finally understand that supposed "bad" intention and come to accept that flaw. There are times when good characters make bad decisions as well. This show never tries to perfect or sugar-coat things to make the ordinary viewers like me feel ugly or uncomfortable. The characters here are all built on the same ground. There's no "rich and powerful" and "ugly duckling" kind of combination. Even if there is a rich and powerful person, they all still have good qualities *as much as* their bad ones. The part that makes this fun to watch is that most of their qualities don't overlap each other. Throughout the show, the best quality of one person will fulfill the bad part of another and so on. It makes everyone complete. This is very heartwarming to see. 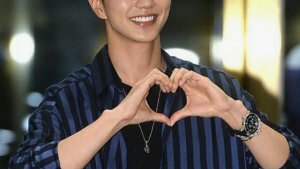 Trust me, you will fall in love even with the small roles that show up only once every 3-4 episodes (like the secretary or the convenience store worker or our main lead's younger brother). The characters in this show are really that lovely. Like I said, subtleness is the key here. I swear I enjoyed the tiny reactions between our two main leads so much and found myself blushing at their chemistry way more than when main leads of other dramas hate each other too much before falling in love with each other. The satisfaction when he slightly takes care of her or acknowledges her talents is real. And, no matter how strong her character is, she's still the little girl who likes to be taken care of in front of him. Their love slowly grows on you. I started watching this show without ANY expectation because of the cast. 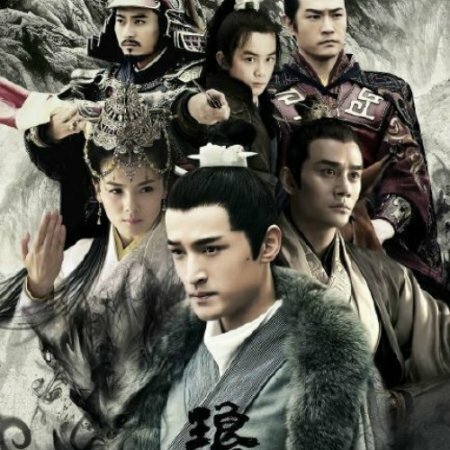 I haven't seen some of these actors, but for the ones I've seen, I can say that this is their best drama so far. I've got nothing much to say. They're very well-suited for their roles. Honestly, they didn't use their OSTs in the way that they receive enough recognition although there are quite some quality ballads. However, I don't remember feeling awkward with the background music while watching. I can only give it a 7/10. I personally rarely rewatch shows. For people who do, I can picture you rewatch it for the life lessons and cozy love story. However, it's less likely to be rewatched and still enjoyable because business talks can be too long in some episodes. Still, despite the so-so music, the clichés, and the low rewatch value, I still give it an 8.5/10. I don't care about the low rewatch value; a drama is never made to be watched over and over again anyway. Comparing to very upbeat and sweet romcoms, I give high score to this one for its approach in telling the story. This was never made fancy for the ratings from the start. This was made for people who like to lean back and appreciate things. What's the one thing that every person fears the most? Death. And when that fear is taken away from you, for whatever extreme reasons, what do you do? You let yourself loose. You say and do things that you might have never done before. And that's exactly what happens with Ha Won. -First and foremost, it's because of the male lead. After watching the first two episodes, I was afraid the male lead was going to be a typical jerk one. Turns out, I couldn't have been more wrong. Yes, he starts out as a jerk, but he changes so much. He actually turned out to be a really kind and caring person. -Ha Won's character is very relatable. A job is not something that's handed to us as soon as we graduate, we have to work for it. But what if it doesn't matter how many times you try, you can't seem to reach your goal? Ha Won can't get a job even after trying 100 times. Her thoughts, her actions, her decisions- everything is portrayed so realistically, that it'll appeal to the audience. -I loved the trio. They didn't exactly meet in the most preferable situation, but their friendship was one of the best things about the drama. The way they stuck with each other, it was so heartwarming. Even in the situations where they had to compete with each other, they never let it get in the way of their friendship. -The lead couple was very cute. They went from hate to respect to tentative friendship to finally, something more. I loved it every-time they would have these little moments. One of my most memorable one is where he gives her the secret thumbs-up. It was beyond cute! -The second couple- Ji Na and Ki Taek, had their charms too. Ji Na, for one, was a character that evolved the most, in the drama. Their relationship grew so much throughout the series. -Chief Park's innermost thoughts were one of the most hilarious moments of the drama. It sounds so random, but I don't know, I found it really funny. -I wish the romance was a bit more pronounced. I understand that this is not primarily a romance drama, but well, the heart wants what it wants, right? -I feel like Kang Ho's contribution towards the story wasn't as much as the other characters. To me, it felt like, his character wasn't as fleshed out. -The last episode seemed a bit rushed. While the major issues were resolved, a lot of other things weren't. So, that's it for the review. I hope you give this drama a chance.